However, this particular parrot is a poisoned and poisonous parrot. It’s been specifically trained to be unhelpful to you, continuously commenting on you and your life, in a way that constantly puts you down, criticising you. How long would you put up with this abuse before throwing a towel over the cage, or getting rid of the parrot? Yet, we can often put up with the thoughts from this internal bully for far too long; decades even. We hear that parrot, believe the parrot, and naturally get upset. That then affects the way we live our lives – the way we behave towards others, how we are, what we think about others, what we think about the world, and how we think and feel about ourselves. 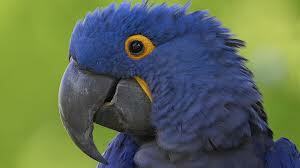 We can learn to use the antidote (or the anti-parrot!) – just notice that parrot, and cover the cage! “There’s that parrot again. I don’t have to listen to it – it’s just a parrot,” you think. Then go and do something else. Put your focus of attention on something other than that parrot. This parrot is poison though, and it won’t give up easily, so you’ll need to keep using that antidote and be persistent in your practice. Matt’s blog was first published on Wired In To Recovery in July 2012.